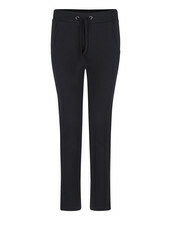 The Mae is a jogging with a three-quarter length. 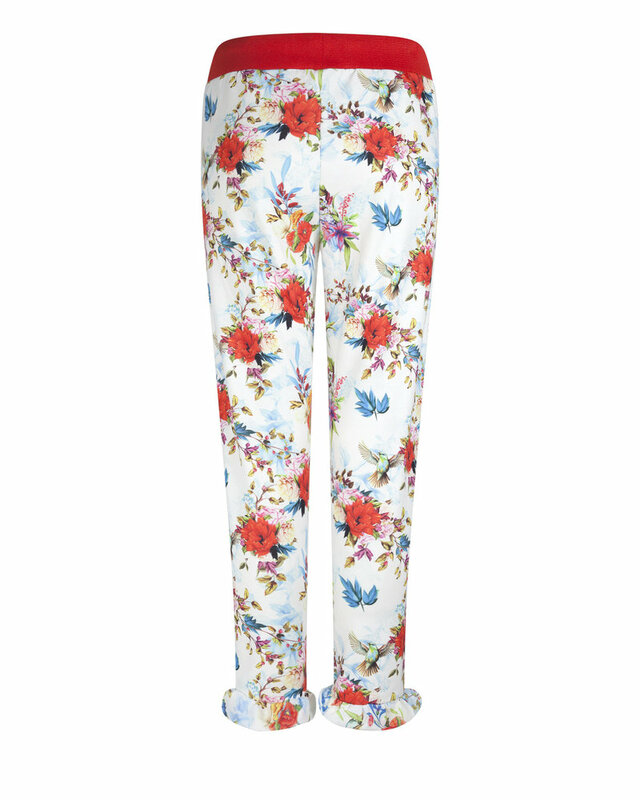 At the bottom the pants are finished with a ruffle edge. 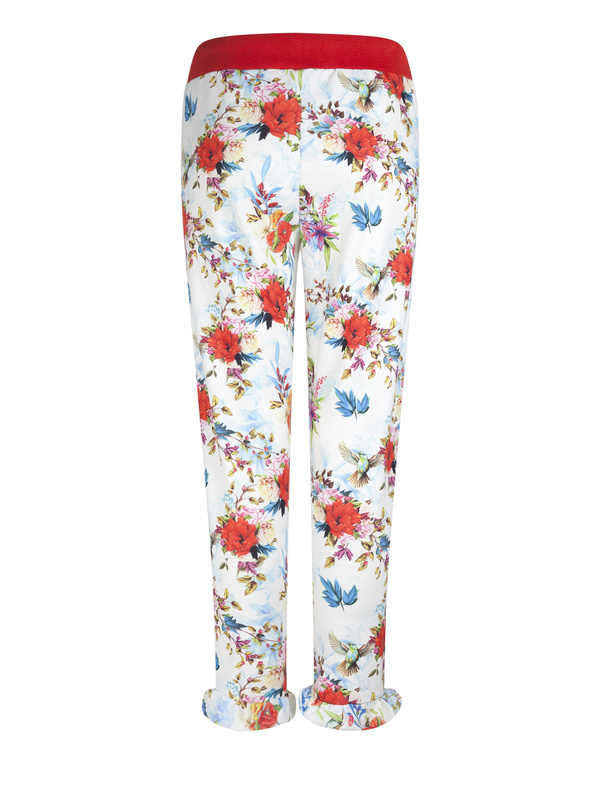 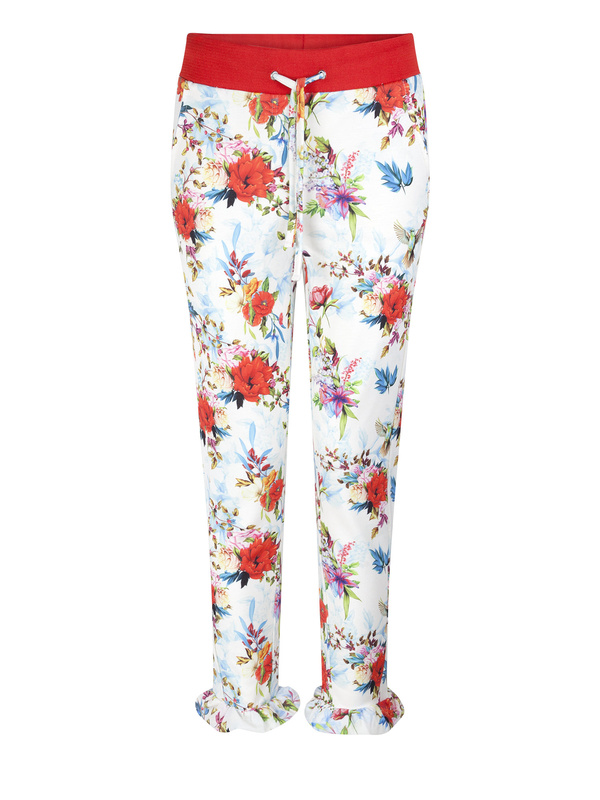 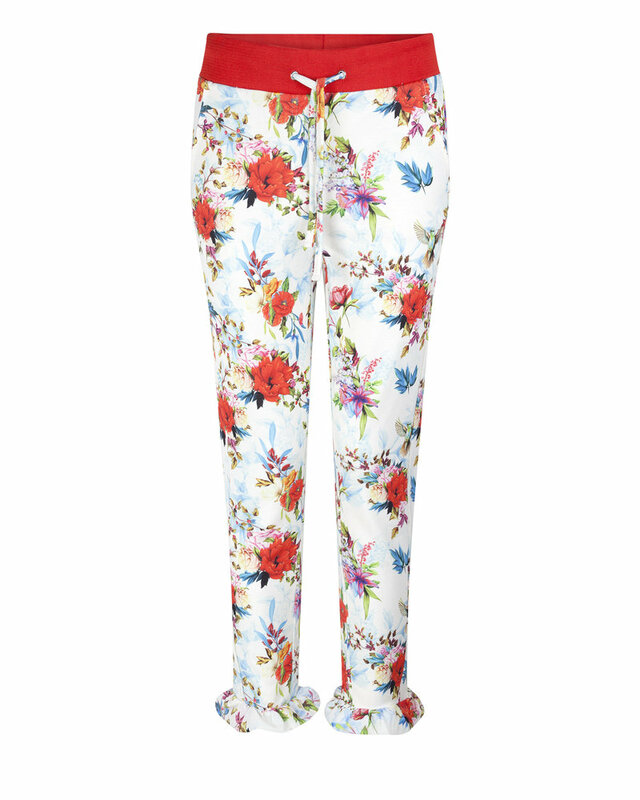 The pants have a red waistband with cords in the same floral print as the pants.